In the running debate we call the “culture wars,” there exists a great feud over religious diversity. One side demands that only their true religion be allowed in the public square; the other insists that no religions ever belong there. 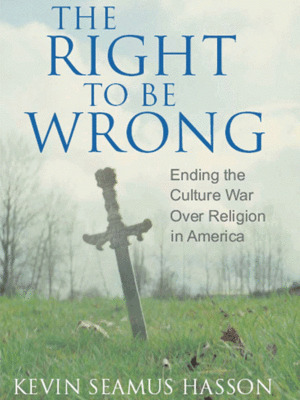 The Right to Be Wrong offers a solution, drawing its lessons from a series of stories–both contemporary and historical–that illustrates the struggle to define religious freedom. The book concludes that freedom for all is guaranteed by the truth about each of us: Our common humanity entitles us to freedom–within broad limits–to follow what we believe to be true as our consciences say we must, even if our consciences are mistaken. Thus, we can respect others’ freedom when we’re sure they’re wrong. In truth, they have the right to be wrong.